The F series pickup accounted for more than half of Ford's sales in January. Canada’s auto market eased comfortably into the New Year with a 2.3-per cent gain in January over the same month last year. And it did so with no change in the number of selling days. That made it a January record, with 110,945 sales in the book. It was an encouraging start, considering that most pundits expect a modest cooling in calendar 2017 following the record sales in 2016. The bounty was shared evenly, with Detroit claiming a 2.4-per-cent gain and members of the Global Automakers of Canada 2.2 per cent. More marked was the passenger-car vs. light-truck divide. Sales of the former declined 5.3 per cent while the latter advanced 5.8 per cent. That gave light trucks a 70.8 per cent share of total sales. Each of the Detroit automakers gained ground in January, led by Ford with a 3.5-per cent uptick. Even so, FCA Canada retained market leadership for the month over Ford, which had been the top-selling company for full-year 2016. The Jeep brand did the heavy lifting for FCA, though surprise sales surges were also posted by the Chryslers 200 and 300, the Dodge Challenger and the entire Fiat lineup. 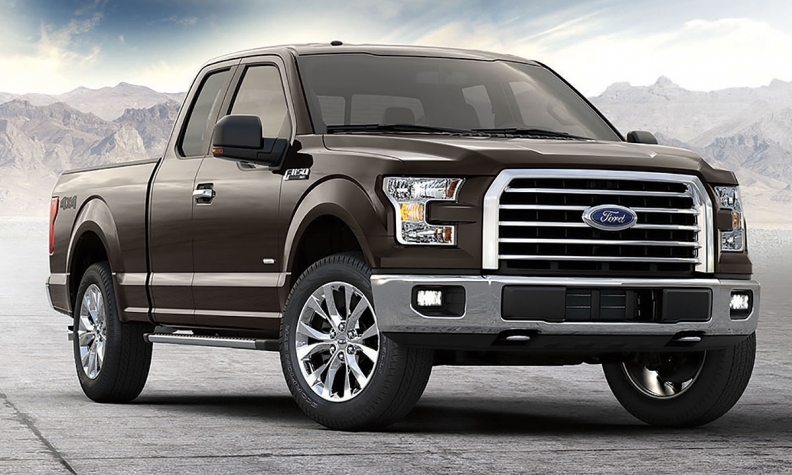 Ford continued to ride on the sturdy aluminum back of its F-Series. The big pickup grew its sales five per cent for a January record; it also accounted for more than 50 percent of total Ford and Lincoln sales combined. That was despite the fact that the Lincoln brand had its best January since 1989. Results were more mixed among the offshore-based automakers, with Hyundai/Kia backsliding by a combined 8.5 per cent while the Europeans jointly surged 9.1 percent; the Japanese matched the market at plus 2.3 per cent. It was a bounteous month for European luxury automakers with gains ranging from Volvo’s 1.0 per cent through Jaguar’s 254 per cent to Maserati’s 542 per cent. The game-changer for Maserati: its new SUV, the Levante, of which it sold almost five times as many (101) as its three car nameplates combined. On a broader scale, the parallel trends towards trucks and luxury brands were well illustrated by Toyota Canada’s report of a 14-per-cent growth in Lexus SUV sales. Besides the Koreans, the only losing automakers were Nissan Canada and Mitsubishi. The list of top-selling nameplates featured quite a dog-fight among compact CUVs, with the Honda CR-V, Nissan Rogue, Toyota RAV4 and Jeep Cherokee, in that order, placing fifth through eighth. Significantly, the Ford Escape, which used to dominate the segment, dropped out of the Top 10 altogether in January.